2 Sage Fruit Peaches (pitted, peeled and chopped). Heat grill pan over high heat or use outside grill and toast bread slices until grill marks appear and bread is crisp. Set bread aside. In a large bowl add all the fruit, basil, olive oil and salt and pepper and toss gently to combine. Spoon fruit mixture on top on grilled bread and serve immediately. 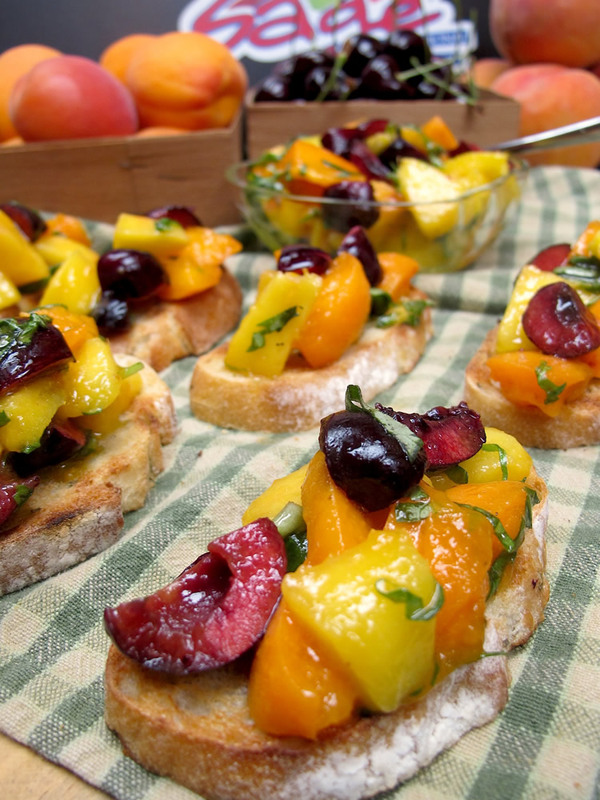 Bread can also be served separately and fruit in a pretty serving bowl as guests can make their own fruit bruschetta.